It’s been a little late for the post since the Gigabyte Aero 14 release. 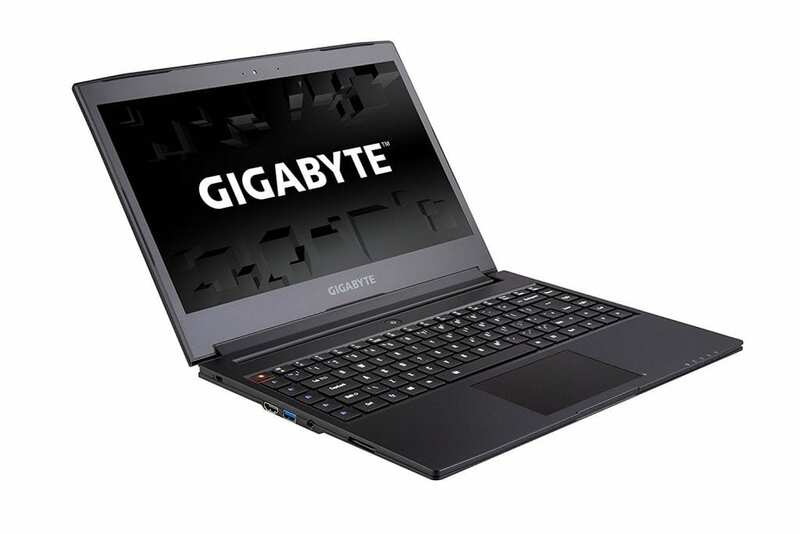 The Gigabyte 14 is one of the most powerful and relatively cheaper laptops. The Gigabyte laptop is powered with a really powerful battery that can last up to 10 hours during normal usage. 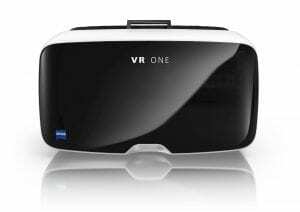 The exceptional battery life makes this laptop a steal for all the gamers out there and the powerful graphics card makes the laptop ready to use with VR headsets like the Oculus Rift and the HTC Vive. 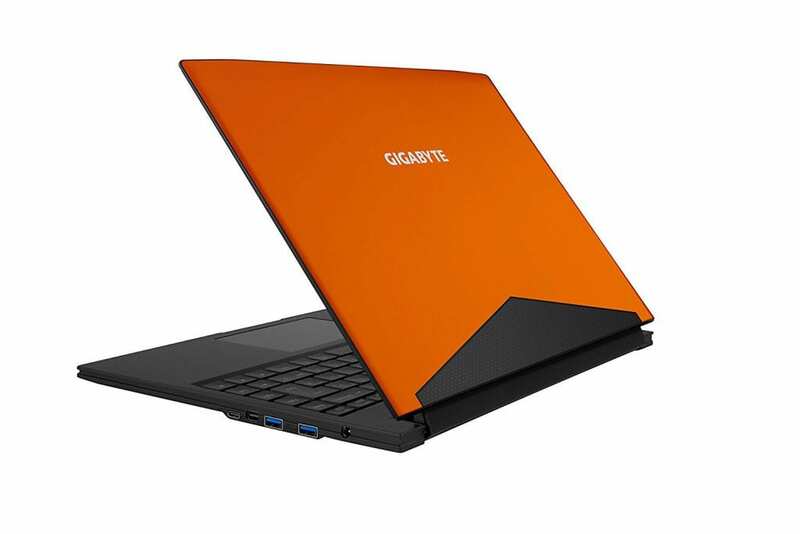 The Gigabyte laptop does not invest in making its laptop have those typical red angled lines and a logo rather they prefer keeping things simple and just go with the brand name on the top and a simple yet elegant color-coded design. The laptop is available in a few different colors like green, orange, and black. The laptop is pretty light in weight(around 1.5 kgs) which makes it portable. Among most of the new NVIDIA GTX 10 series this laptop is so far the lightest and at the same time one of the powerful laptops in the lot. The laptop comes with a 1440p resolution display and that is pretty amazing, the laptop has a powerful graphics card to run this display while gaming and hence making the perfect blend. Although, while gaming it is really difficult to point out the difference between 1080p and 1440p. You need to pause and see the difference, else while gaming both the resolutions may end up looking the same. The laptop is pretty amazing with a solid build and excellent build materials. The keyboard on the laptop system is pretty great and not that mushy. The keys are pretty firm and have a good distance between them and it is a really comfortable and a great keyboard to use. The keys are backlit which further makes the keyboard easier to use with games especially in darker rooms which I personally prefer for gaming. The touchpad is average and not as good as the touchpad seen in other laptops. 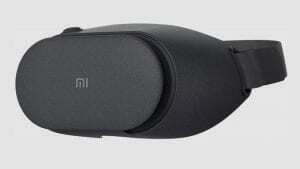 The touch can be a little annoying and if you are someone who uses the mouse quite often then this should not be an issue but if you really want to get an amazing touchpad then I think it is better to look out for other options out there. For the gamers, I guess we often end up using the mouse and if that is the case with you as well then the touchpad should not be a major setback. You can get used to the touchpad for normal browsing and it should not be the deal breaker. The Gigabyte Aero 14 is a pretty powerful laptop when it comes to gaming and the new NVIDIA GTX 1060 graphics card makes it VR ready and helps in playing all the heavy games at 1080p with pretty good frame rates. Gigabyte was always known for having the best hardware configuration that would provide the best gaming experience and it has done it again with this new laptop. You could play the lighter games easily in this laptop on ultra settings and honestly, I don’t get to say this quite often but even the games heavy on graphics can be played on acceptable frame rates on the highest settings. The GTX 1060 gives the laptop an immense gaming power and makes all the graphics look really beautiful on the laptop screen. 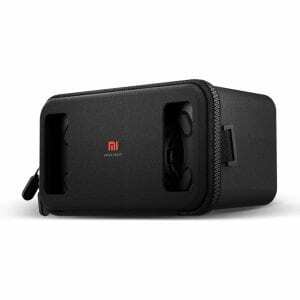 Apart from the fact that the laptop can easily run any game on a given setting, the laptop is VR READY which makes it one of the best laptops in the lot that can be used with VR headsets like the Oculus Rift and the HTC Vive. The laptop comes with a 16 GB RAM and a 512 GB SSD storage which is amazing for a gaming laptop and you can additionally add extra HDD in the case you want to expand your laptop storage. The laptop is pretty dope when it comes to storage and the best part is you get all for it in a thin lightweight laptop that is easily portable. Usually, when you have a powerful battery, the system is expected to be heavy but that is not the case with this laptop.The battery life of the laptop is almost 7 hours while gaming which is pretty amazing and way better in comparison to the other gaming laptops. Gigabyte has one of the best powerful laptops available and the battery life is the most impressive things about these laptops. They have a much better battery life than more than half of the gaming laptops available in the market and are even light in weight along with that. The laptop does get hot but again for a laptop that thin it does not get unusually hot that you might feel like turning off the laptop. 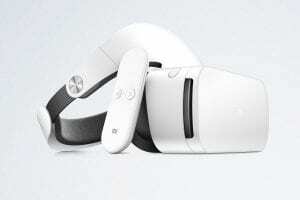 It is manageable and you could even game without getting the laptop to reach any unbearable temperatures. The laptop comes with a good number of ports and the left side of the laptop conatins protective lock slot, an HDMI 2.0 connector, a USB 3.0 port, an audio/microphone jack, and microSD card reader. The right side of the laptop consists two additional USB 3.0 ports, a Mini DisplayPort, and USB 3.1 Type-C port. The laptop comes with a 2-year Warranty period. GigaByte Aero 14 is the ultimate beast and I really do not see a reason why someone would not get this laptop if you already have your budget in the given range. For the price, this laptop offers you every feature at its best which is the reason Gigabyte is known for producing really powerful gaming laptops. The laptop is light and the battery life is 10 hours, these two statements can only be said together in the case of a powerful laptop like Gigabyte. The laptop comes with a 1440p resolution and an amazing keyboard. Although the touchpad can be a minor setback but depending on what the laptop has to offer, I think I would be okay to use my mouse. The laptop is ideal for gamers and if you really have the budget around its price, I suggest that you go ahead with the purchase of this laptop. Do check out the Amazon reviews and let us know what you think about the VR ready laptop Gigabyte Aero 14. If you have any further questions, leave them in the comment section below and I would be happy to help.